Learning to ride a bike is one of the great milestone’s in a child’s life. Whether it is a tricycle, balance bike or on two wheels, learning to ride with confidence is no small feat. Once your child learns to ride, taking a bike ride as a family can be another way to spend quality time outdoors together. Bike trailers, tandem bikes and bike seats are other options if your children are not quite ready to ride alone. Keep reading for some tips on learning to ride a bike as well as some areas to take an enjoyable ride together. REI offers How to Ride a Bike for Kids classes at the Vernon Hills and Northbrook locations. Click here for available dates. They also offer one-on-one instruction at their Oak Brook and Northbrook locations. Click here for upcoming availability. Can’t make the class? Here’s a helpful video from REI on ways to help your child to ride a bike. The following locations all have trails, however we encourage you to follow proper bike safety and use each trail at your own discretion. Click here for specific information on DuPage County Forest Preserve Bike Trails. The Prairie Path spans approximately 61 miles in Cook, DuPage and Kane Counties. Stop in to these local bike shops for a great selection of bikes and gear. Experts are there to help you determine exactly what you will need for a smooth ride. 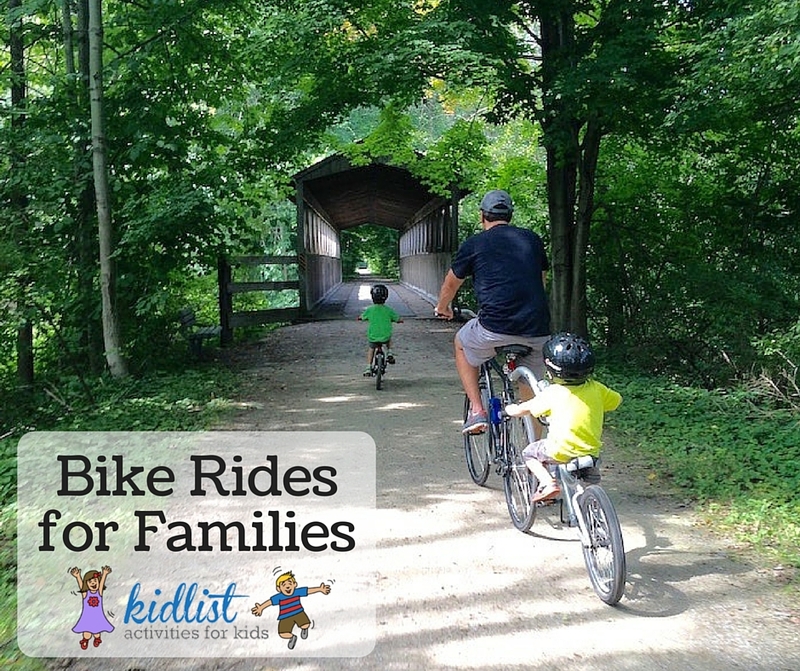 Be the first to comment on "Bike Rides for Families"